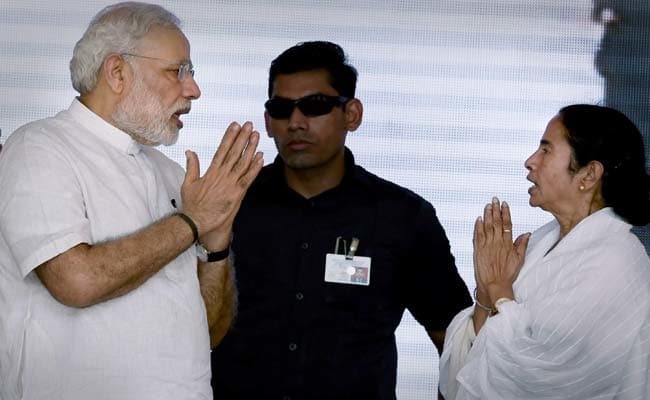 New Delhi, February 4 (NDTV): The full-blown political stand-off between Mamata Banerjee and the central government continued through the day, with the chief minister refusing to budge from her sit-in protest in the heart of Kolkata. The issue pitched Ms Banerjee to the forefront of a united opposition, whose leaders tore into the central government and took on the government on the floor of parliament and outside. The Central Bureau of Investigation, whose move to barge into the house of the Kolkata police chief and question him triggered the mega row, went to the Supreme Court, which will hear the evidence against Rajeev Kumar tomorrow. The CBI has accused Rajeev Kumar, the chief of Kolkata Police, of being a “potential accused” in the Saradha and Rose Valley Ponzi schemes and said it was possible that he might have tried to destroy evidence. The court said there is “no evidence that the Kolkata police are destroying evidence” and asked the agency to present proof tomorrow. From her designated dharna spot in central Kolkata, where the party men converged with the city’s intellectuals and the civil society, Mamata Banerjee lashed out at the central government. In the evening, she held animpromptu award ceremonyfor the officers of the Kolkata Police. Bihar leader Tejashwi Yadav and DMK’s Kanimozhi are at the spot. The matter raised ripples in parliament too, where amid heavy slogan shouting by the opposition, Union Home Minister Rajnath Singh said the detention of CBI officers was “unprecedented” and indicated a constitutional breakdown in the state. Various leaders of the BJP questioned why Ms Banerjee isgoing out on a limbfor a police officer. “Circumstances indicate that this cop knows a lot and therefore has to be saved,” Union Minister Ravi Shankar Prasad said, indicating that the chief minister was involved in corruption or its cover-up. 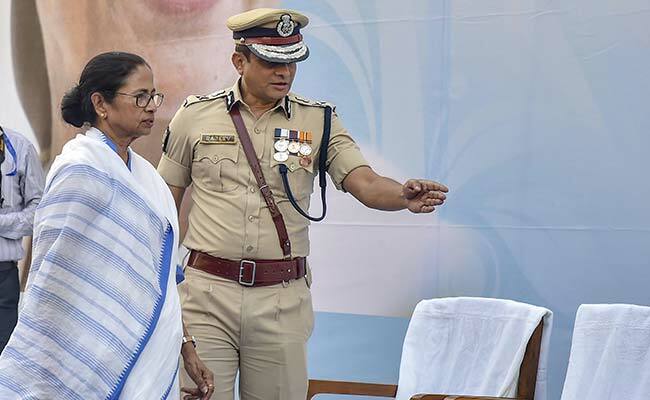 Answering critics who asked why she was upset over the questioning of a police officer, Ms Banerjee said, “I did not take to the streets when you touched TMC leaders. But I am angry when they tried to insult the chair of the Kolkata Police Commissioner, he is leading the organization”. On Sunday evening,CBI officers were blockedfrom entering the Park Street home of Rajeev Kumar and detained at a police station for a few hours. “The Kolkata Police Commissioner is among the best in the world. His integrity, bravery and honesty are unquestioned,” Mamata Banerjee had tweeted. The showdown with the centre follows an intense turf war between the BJP and Mamata Banerjee as the country heads for the national elections. Over the last weeks, the chief minister has blocked attempts by the BJP to take out rath yatras and even denied permission to its top leaders to land their choppers at rally sites. Today, the BJP approached the Election Commission, alleging that the Trinamool Congress government was not allowing its political programmes in the state. “The party which is ruling in the state and its supporters are out in the open to ensure that no other political party gets permission to carry out its legitimate activities ahead of the polls,” said Union Minister Nirmala Sitharaman, who was part of the delegation. Mamata Banerjee accuses the BJP of going after her administration with greater verve after her mega rally of 23 opposition parties in Kolkata last month. She hasalso accused PM Modiof using unparliamentary language in his recent rallies. The Prime Minister had said the Bengal government was killing the aspirations of the middle class through “Triple T – Trinamool Tolabazi Tax”. Tolabazi roughly translates to an act of organised extortion. Months before the national election, this has become another flashpoint in the BJP versus opposition bust-up with several leaders, from Rahul Gandhi to Chandrababu Naidu, Arvind Kejriwal and Tejashwi Yadav, pledging their support to Mamata Banerjee.